AlanForPresident's review"the motorized faders are a plus"
The Cakewalk Sonar V Studio 700 is a recording system that can really get your music to a high level. It has a very good interface that is very user friendly. Sonar is often compared to pro tools with its ability to master songs in it. The original version of this was called the V Studio (not 700). 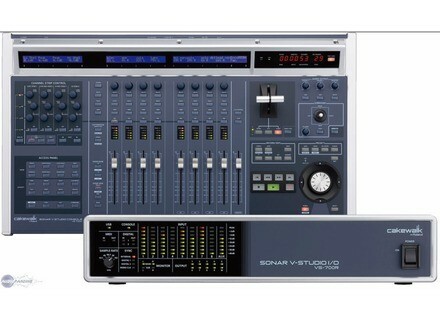 Then they created the V 700 a few years back to really give pro tools some competition and they did just that. 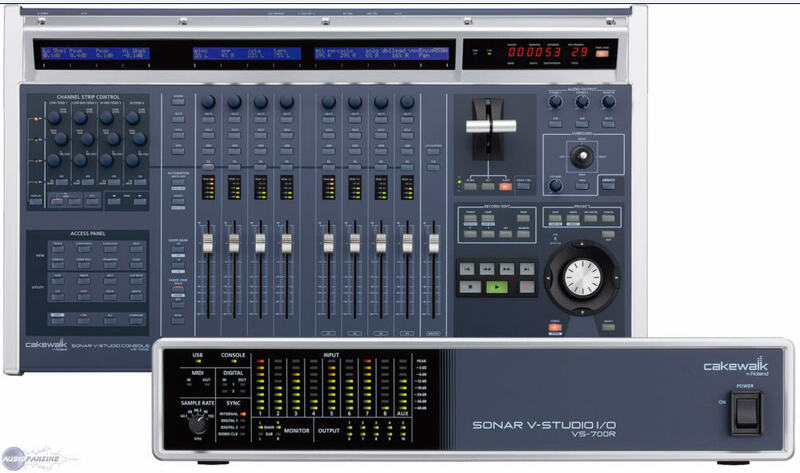 Caekwalk Sonar V 700 is a high quality hard disk recording system that will give you a hands on experience of being in a real studio right in your bedroom. The quality of this product is very high and most people don’t even know it exist. I am glad to say that I have used it on several occasions and never had a bad experience with it and don’t plan on it giving me one. Each time I have used it its very easy to use and understand with out a manual. It has a little over 50 buttons that all are lighted and a full transport control. Along with LED meters for the cannels and a 2x13 inch lcd lit display that is pretty good on the eyes and wont make you strain to see it. Overall, you will have great control over the project that you are working on and you wont even need a mouse because of the joystick that it has on the front of it. It also has 9 motorized touch sensitive faders. So you can see why the Studio 700 V can compete with some of the high end pro tools hardware interfaces that they have came out with. Along with 8 XLR inputs with phantom power you will be able to get all of your gear running through. You should be very careful when deciding which device like this to go with. I think this is the best choice because of the price. You wont get a pro tools board for anywhere near this price. rytmic's review (This content has been automatically translated from French)" Wicked! purchase of emergency"
above for 3 days is a marvel! and sound reproduction! plugged and are very pro for sure, the v NoteM voice and famtom.serieux No longer hesitated for undecided, I have found many answers to my question with this system.